Olympus OM-D E-M5 with 14-150mm 4.0-5.6 lens @ 56mm. Processed with Lightroom and Perfect Efex 4. 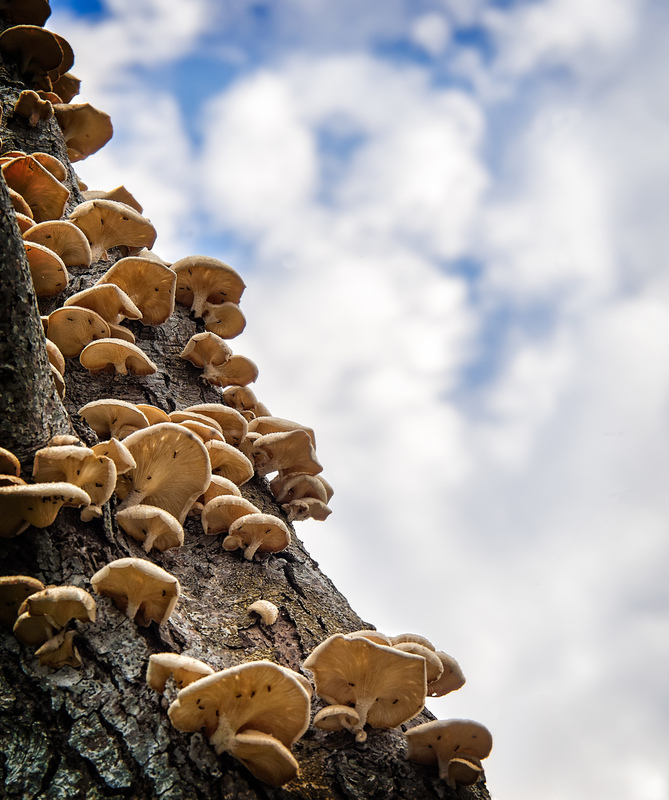 Mushrooms or toadstools, whatever they are; it was interesting to capture them against this beautiful blue sky and puffy white clouds.